The world should come together to fund a permanent pool of money earmarked for fighting pandemics like Ebola, the head of the World Bank said at the G20 meetings in Australia on Friday. 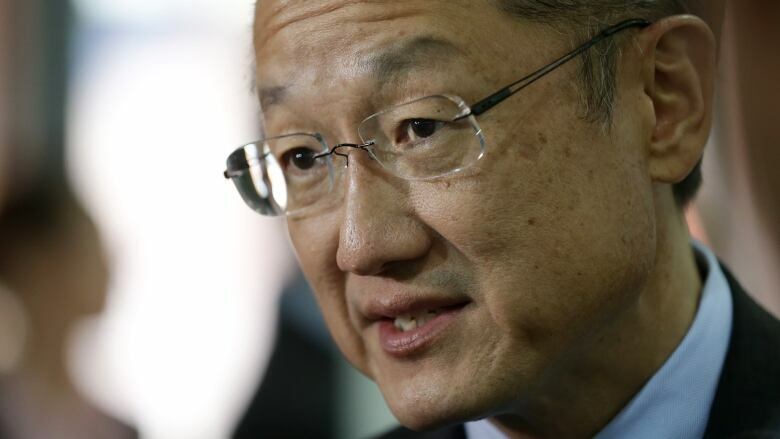 World Bank President Jim Yong Kim told world leaders in Brisbane, Australia for the G20 summit this week that the ongoing Ebola crisis could have been better contained if the world had a pool of money designated to fight fast-appearing pandemics. Such a fund would also provide an incentive for drug companies to develop vaccines to fight other diseases that have yet to emerge, he said. "If they knew that any vaccine or drug that they produce would have a fund that would pay for it if the next epidemic hit, I think that very well could bring more manufacturers into producing the necessary vaccines and medicines," Kim told reporters. The Ebola crisis, which originated in West Africa, has killed more than 5,000 people, mostly in the three hardest hit nations of Sierra Leone, Liberia and Guinea. World leaders rushed to help fight the disease once it became clear it wasn't being contained, but Kim said overall the international community has failed to keep pace. In the critical first few weeks not enough medical supplies and manpower were getting to the heart of the crisis. The fund being proposed would address that problem, but also provide drug companies with a financial incentive to develop drugs for other pathogens that may be quickly needed. "Right now, with no such fund, it's very hard for a drug company or a vaccine maker to find the motivation to develop those kinds of instruments," Kim said. Kim said many finance ministers and central bank governors had already expressed interest in the plan. Money could either be put in up front, or raised quickly on the international bond markets as the need arises. That's the funding model already in place for most World Bank projects — but currently, there's no designated fund earmarked for health crises specifically. "There's a clear understanding that a mechanism like this could protect the global economy from the potential downside risk and the shock of another epidemic," Kim said.